As part of its expansion plans, CNE will seek more collaboration with players from retail, e-commerce and FMCG sectors to increase its footprint, and strengthen its leadership position in the market. In line with this growth strategy, CNE has also partnered with Myntra and Future Group. Besides the re-launch of the ever popular global franchise The Powerpuff Girls, CNE will also be focusing on a strong roster of DC movies from Warner Bros. that includes Wonder Woman, Justice League, Aqua Man and Flash. 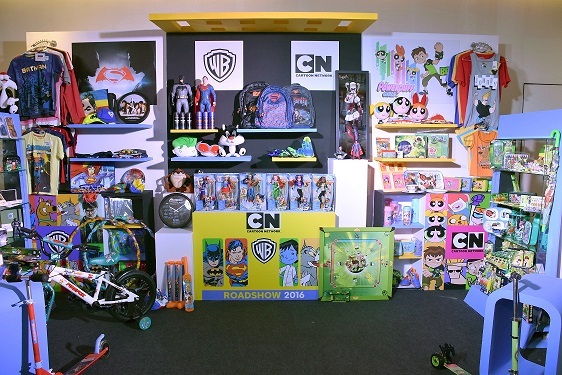 All this and a preview to plans for 2017 were unveiled at the Cartoon Network Enterprises roadshow on September 20, in Mumbai with over 200 trade partners attending this showcase of Cartoon Network and Warner Bros. extensive portfolio of current and future IPs, TV shows and movies. “The licensing and merchandise segment has evolved over the years and is currently witnessing a strong upswing due to ecommerce explosion in South Asia. We are looking at driving strategic partnerships across various categories in the coming months and providing different touch points for our fans to experience our brand. This roadshow provides an ideal platform for us to connect with our current and potential clients to showcase our portfolio and significant range of products,” said Siddharth Jain, Turner India’s Managing Director. A brand new series of the multi-million-dollar franchise, Ben 10 is launching as part of an international premiere on Cartoon Network in October and an extensive new product catalogue will be announced soon after.